A comparative study of the flora and soils of two Maine islands: Here I compared the plant communities and soil features of two adjacent islands in the Gulf of Maine. I used a combination of deductive and inferential techniques combined with simple visualizations and tables that highlight how these islands differ. The full publication PDF can be found at the link below. Negoita, L., Dickinson, M., Mittelhauser, G., Rajakaruna, N. 2016. 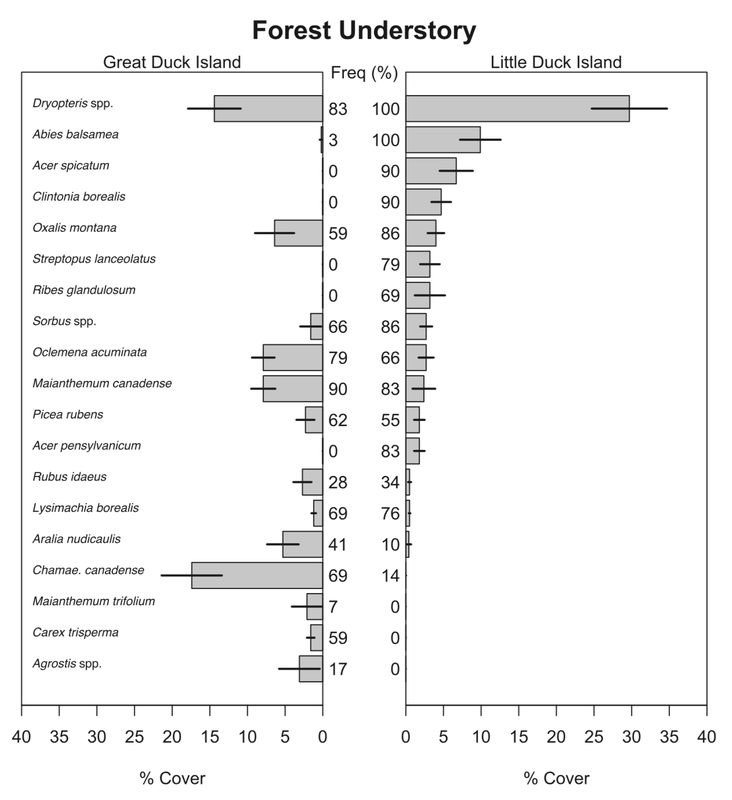 A comparative study of the flora and soils of Great Duck and Little Duck Islands, Maine, USA. – Rhodora 118: 46-85. 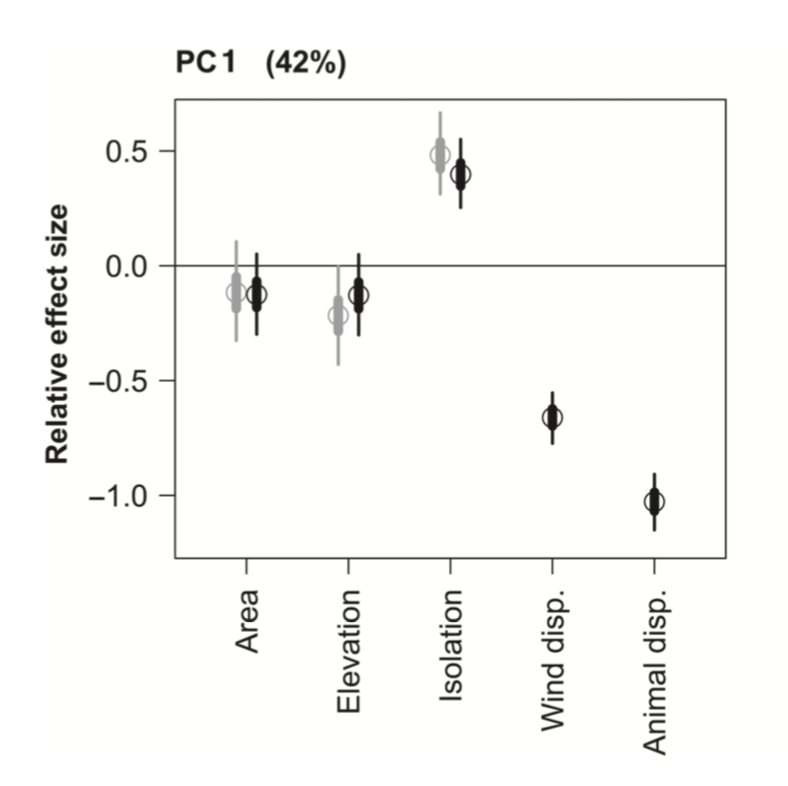 Can plant dispersal drive ecosystem function? In this study I compared the variation of plant functional traits across 30 islands in the Gulf of Maine to test the potential role of plant dispersal on island ecosystems. Here, I used a combination of regression, hierarchical Bayesian, ordination, and model comparison approaches. ​The full publication PDF can be found at the link below. Negoita, L., Fridley, J.D., Lomolino, M.V., Mittelhauser, G., Craine, J.M., and Weiher, E. 2016. 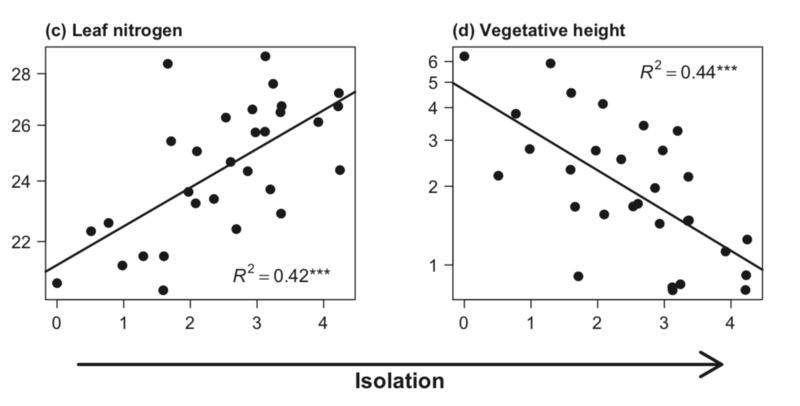 Isolation-driven functional assembly of plant communities on islands. – Ecography. Example of Interactive data dashboard: In 2013, students of the Statistics class at FSEV UK were asked to invite their friends to participate in this survey. The survey consisted of questions related to everything from fears, to hobbies, spending habits, and personality traits. After removing missing values, a k-means cluster analysis was conducted to identify major groupings of youth. Click on the link below to explore these data and grouping classifications. Stock market modeling using genetic algorithms: I used a combination of cross-correlation, linear and logistic regression, and Bayesian approaches, along with a genetic algorithm for optimizing a successeful stock prediction algorithm. I can show more examples of my work upon request. Still don't know if I can help you? Contact me for a free consultation.